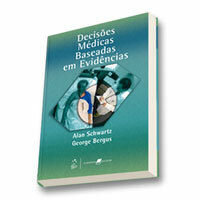 The translation of Medical Decision Making: A Physician’s Guide into Portuguese has been published by Guanabara Koogan SA as Decisões Médicas Baseadas em Evidências (“Medical decisions based on evidence”), which is an interesting spin on the book. Of course, we’re interested in decisions based on values at least as much as evidence, but I can see where this may have been a marketing decision by the publisher. My Portuguese is very limited, but I’ve flipped through it and I think the translator, Marcio Moacyr de Vasconcelos, a Pediatric neurology fellow at George Washington University and Adjunct Professor of Pediatrics at Universidade Federal Fluminense, has done a creditable job.